When a brand’s identity has been established for a long time, it can be challenging for marketers to find a way to appeal to a younger audience. However, for brands to stay relevant and keep business up, it is essential to figure out how to do just that. Even the biggest brands have to evolve with the changing times, so what can a brand like Rolex do to appeal to a younger market? Rolex, maker of luxury watches, has been around for over 100 years and has a specific type of audience it appeals to. As a luxury brand, Rolex has served as a status symbol to an older audience than the one they are trying to appeal to today. Younger generations identified the brand as something their parents would wear, which may have made it seem less appealing. 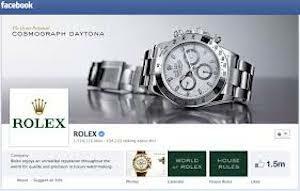 Rolex needed to figure out a way to reach a younger audience, so they turned to social media. Recently, Mashable reported that Rolex is “thriving” in the digital age. To appeal to a younger audience, the brand launched a Facebook page, and used social listening to determine how to provide the kind of content their target audience would be interested in. For example, users leaving comments on the Rolex Facebook page wanted to know about the distinctive features of the watches, so the company created a series to tell this story and it was a big success, garnering over 100,000 likes. Brands must evolve to appeal to changing target markets. By finding out where your audience is spending their time, and taking steps to reach them, marketers can create an effective strategy to engage customers and ensure that their brand remains successful.